Small kitchens can often be a big burden when you have family around for dinner and need more space to not only cook food, but prepare and serve meals. If you have a small kitchen, don’t be disheartened. 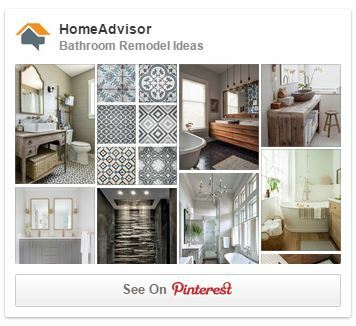 There are simple hacks that will help you maximize your space but that won’t compromise style or efficiency. One of the biggest issues with small kitchens is work surface space. Whether its endless jars, cook books, or appliances getting in the way, you can never seem to get enough space to make that cake or perfect that casserole master piece. 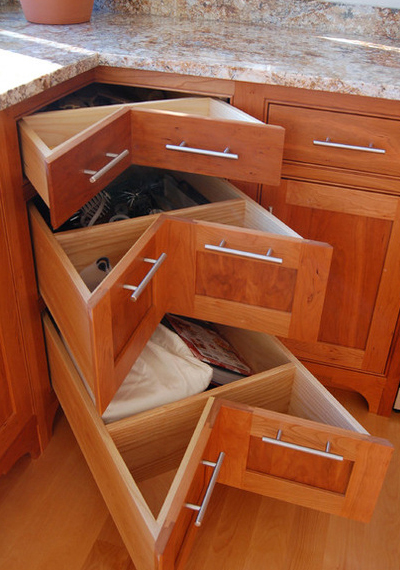 Vertical storage is a great solution to this problem. 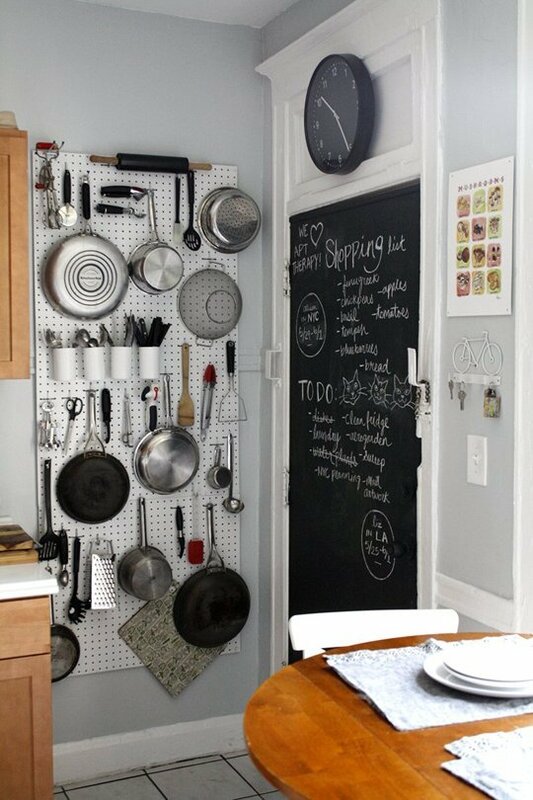 Hang pots and pans in an artful way and paint a chalkboard wall next to it to add a fun space for notes and recipes. 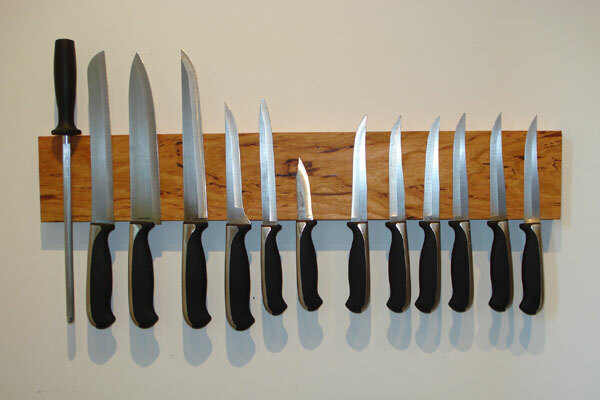 Instead of having a knife rack that takes up space on your kitchen counters, consider getting a magnetic board and fixing it to a free wall. You fridge isn’t just something that keeps foods fresh and cool. 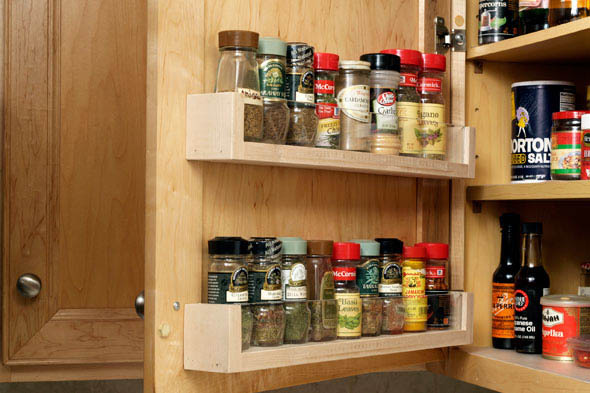 It can also act as a spice rack for you, which will free up storage space in cupboards or on counters. 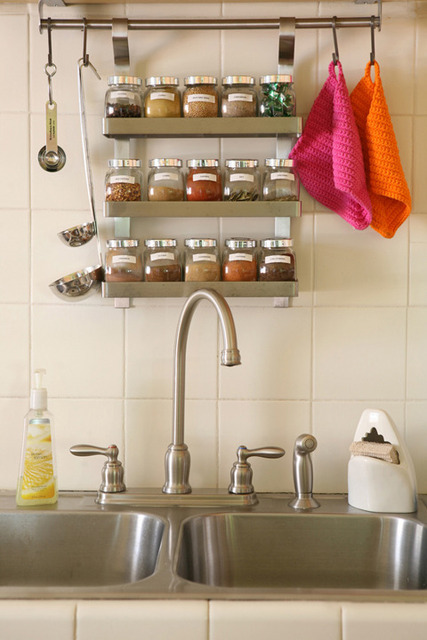 A decorative spice rack takes a bit of DIY skills but will be well worth the effort. 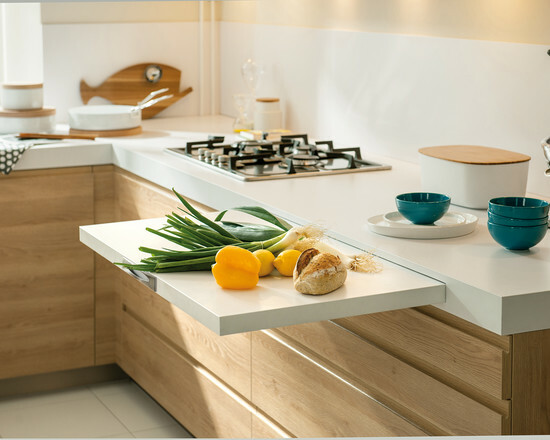 Chopping boards are used for most cooking and while they don’t take up much space, they can definitely get in the way. Rather than having one left out on your counter, purchase one that pulls out from under your sink or attaches to your counter as an add-on. 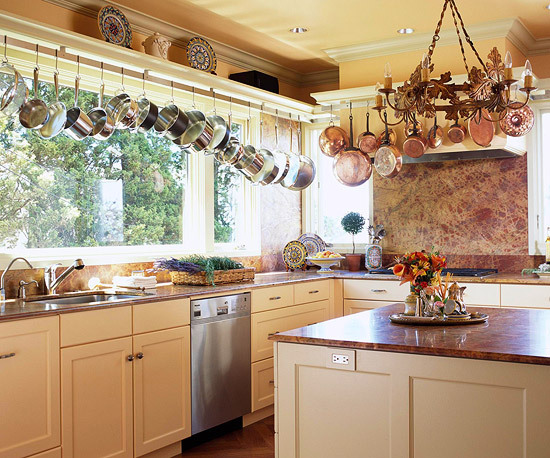 Every kitchen, including those that are small, always have spaces that never get used. Look for narrow storage trays on wheels that you can fit into gaps and relocate as needed. Sink storage trays are the new in-thing and are easy to fix to the inside of your cupboard doors. 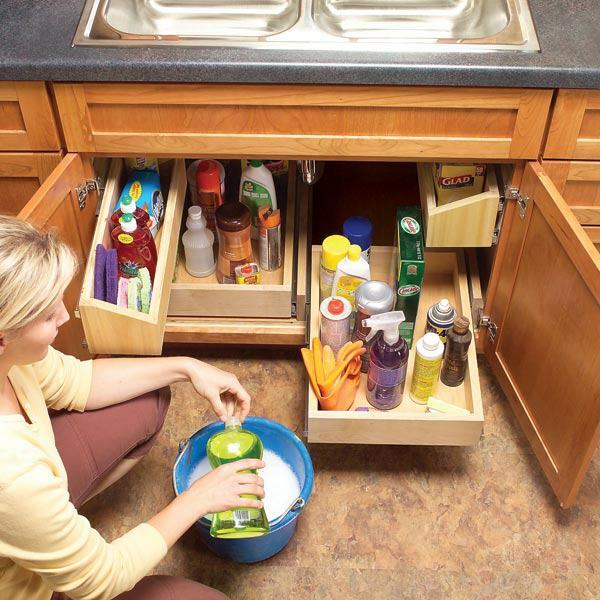 They also allow you to get underneath of the sink in case you need drain support services to unclog your pipes. If you have pets we don’t need to tell you how much room their food takes up. 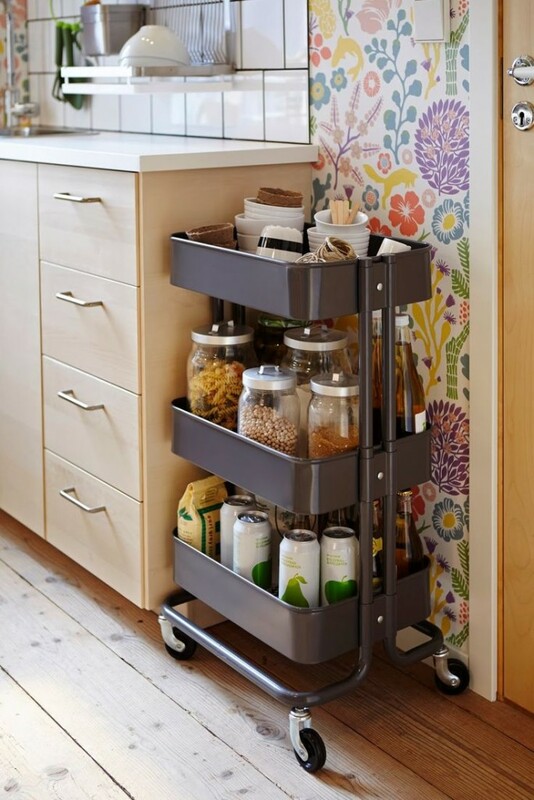 From biscuits and trays to food and canned food, your storage space can quickly fill up. 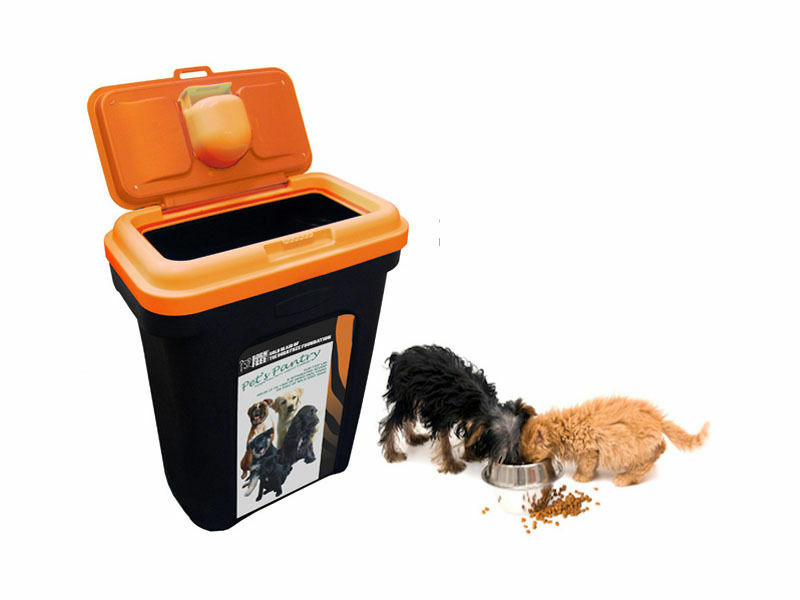 Think about using containers to store the food or put it in an outhouse or shed. Buy cheap hanging bars from online and fix them to the ceiling, walls or cupboards to hang your pots and pans. Make sure you maximize your space on the walls. 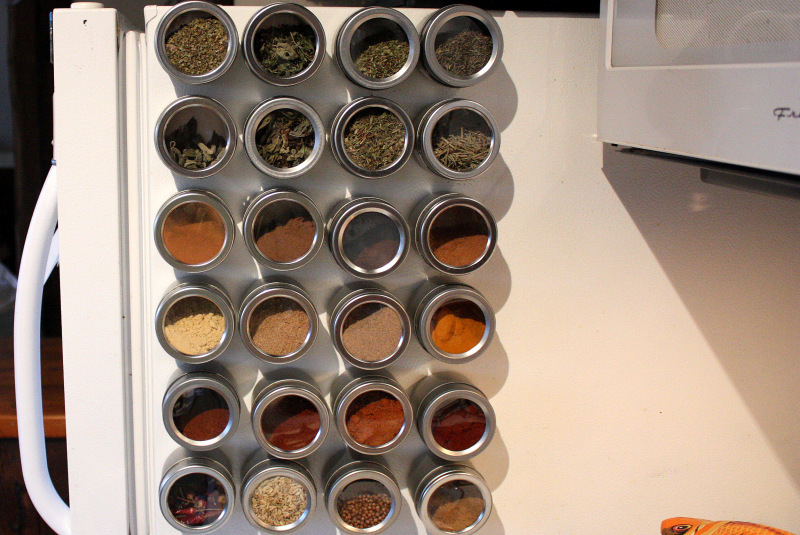 Create a utensil hanger, magnetic knife strip, or hanging tray that contains spices or Tupperware boxes. 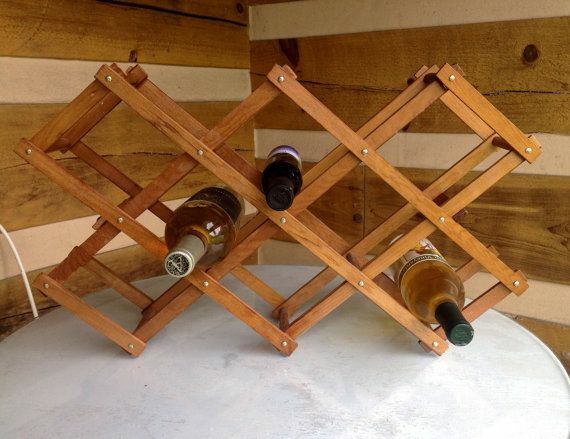 If you love to drink wine but don’t have the room to fit in a wine rack then don’t just stop there. Remember creative technology has come a long way in the past few years so items like collapsible wine racks actually exist. Unused corners can be perfect for stacking plates and dishes. The backs of kitchen doors and cupboard doors can provide a whole new angle for your storage needs. Simply screwing in wire racks or trays will offer you that extra space you so desperately need and deserve. Author Bio: Mission Hammocks is committed to help people achieve their goals and dreams. All the hammocks are made in a workshop staffed with people having various physical disabilities in Nicaragua.